Through the GoNANO Framework, and after the citizen consultation, a stakeholder workshop was arranged in the Technology centre CAS with the representatives of research institutes, state, media and citizens. 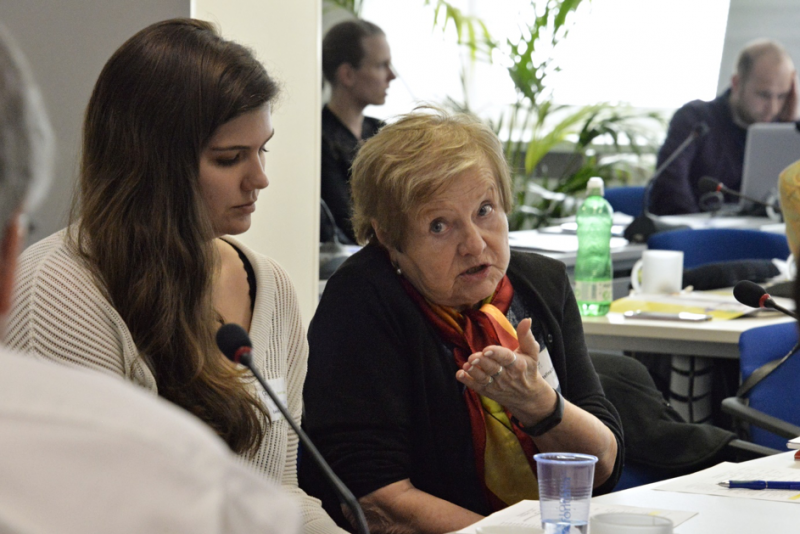 Experts reacted to the needs and values of the citizens – some of the needs were explained and dismissed, others were corrected or even led to the elaboration of the research topics and specific nanoproduct suggestions. Altogether, the debate was at least important reflection of the many ways of perceiving nanotechnologies in the public, and how these differences in perception can be reflected and used in the future development by researchers and other stakeholders. After the GoNANO meeting of experts in Netherlands just a few days ago, an expert workshop was held in Prague in the Technology centre CAS headquarters. 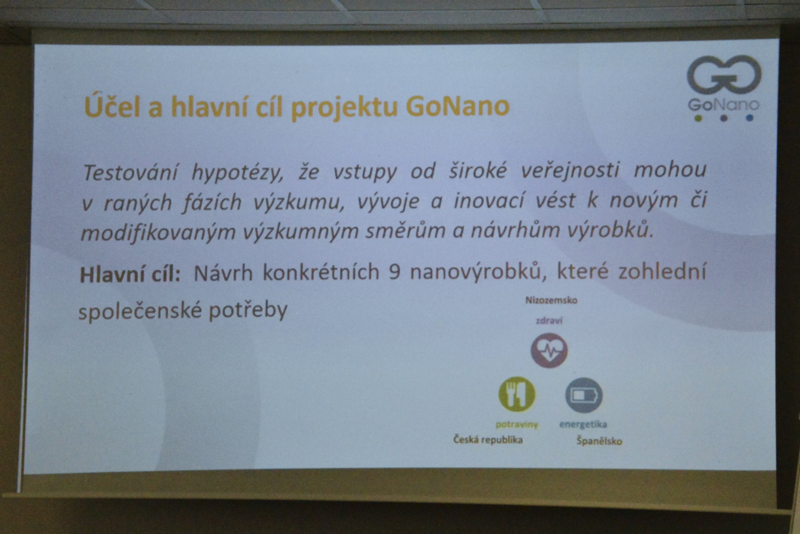 The topic of the workshop was Nanotechnologies in food: The initial presentations started with the input from the Czech project manager Lenka Hebáková and three well known figures in the nanotechnological community in the Czech Republic: Jiří Kůs presented a handful of examples of the possible future applications of nanotechnologies in food – if it was a nanoice-cream containing less fat and sugar, even though we could not tell the difference by the taste, or if it were sensors contained in the food packages that would substitute the shelf-life information printed (see https://jirikus.blog.idnes.cz/blog.aspx?c=702486), Luboš Komárek presented the success of the Nanoprogress cluster, and Jan Buk said a few words about the nanofilters in Pardam, and what are the main advantages of them against the traditional up-to-date filtration systems. From the current state-of-the-art in nanotechnologies and food the debate soon steered into the primary goal of the meeting, and that was the deliberation/reflection of various experts – scientists and researchers, representatives of the business, state, media or the civic society – about the needs and values of the citizens. More specifically, to answer how to build a relevant research aim, and to what concrete products this research aim could lead. a method, various forms of exploration what surrounds us in the nanoscale: In other words, in our everyday lives we are surrounded by nanoparticles, that is why the fear of them seems to be a matter of explaining rather than the necessity to do something preventively. In the groups of novel foods nanoparticles – on the contrary – the discussion led to a specific research aim and concrete product suggestions. More widely discussed topic was the topic of an empty food, that could be “edited“ by anyone according to their needs. Also the “nanoparticles“ issue was understood in a much different way as the experts came up with analytical methods to make sure that food is safe. Experts in the novel foods group at the same time supposed that the topic of safety as the most important topic can change in the future and time saving will play a much bigger role. The experts dealing with nanofilters came up with several ideas of the water filtration – these should concentrate more on the filtration of the “waste“ water (e.g. the waste products of the wine production) than to anything else. Filtration could also not be processed only through the form of filtration systems, but also through the form of modified bacteria. Experts also didn´t suppose that the nanofilters waste should be a key issue – the overall amount of such waste is not enormous. At the same time, from the point of view of the nanowaste – it is important to distinguish between nanoparticles and nanofibers. It is necessary to be careful especially because of the chemical fibres that are not degradable and therefore can be eliminated only through combustion. 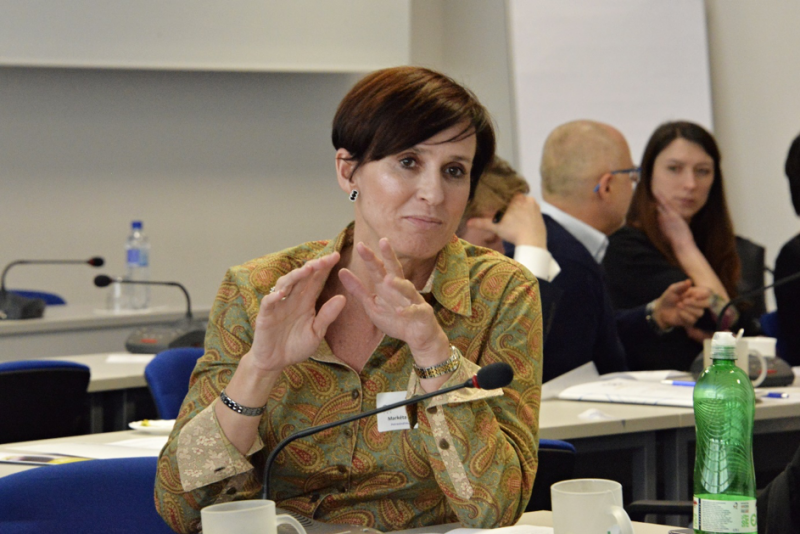 The expert group of smart food packages discussed the often articulated requirement of the self-degradability of packages as it seemed to be in contrast with the need for longer lasting freshness and safety of the food. 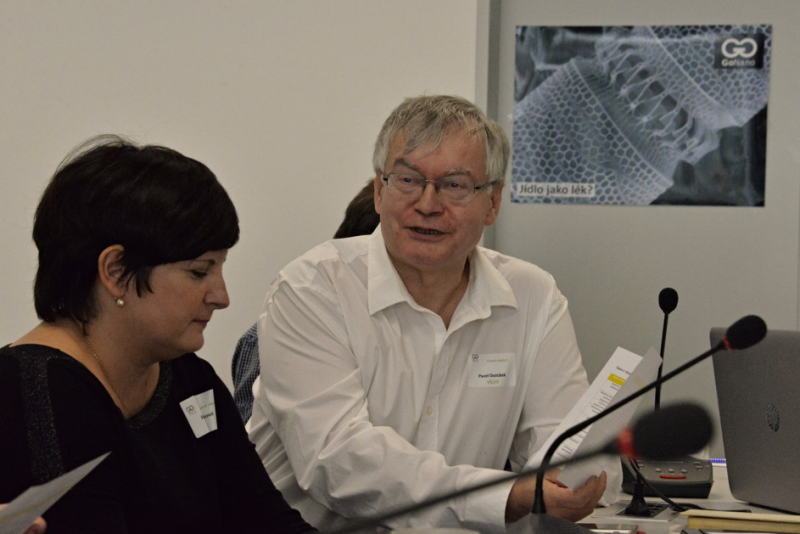 Experts also agreed upon the necessity to explain nanotechnologies and their many applications to the public through all the available ways including media and the educational system (from the longer term). To some experts, the debate about nanoparticles resembled previous debates about genetically modified food – with the form of the debate and with the fears expressed. The workshop led to specific research aims suggestions, that would be – according to the experts – worth further investigating. In the case of novel foods, the experts elaborated on the highly controversial topic of nanoparticles and a very strong societal need for safety – experts proposed to focus on the detection of nanoparticles in food in combination with other measures, as the usage of nanoparticles for the adjustments of future food. The experts in the group of nanofilters elaborated on the possible proliferation of use of the nanofilters for water and other food products that are heavily connected to the filtration. The experts – in the case of the smart food packages – touched upon the ideal version of smart food package, that would protect the food both from the outside and the inside, from the possible contamination of the bacteria, both in the case of meat or in the case of vegetables. The workshop itself showed the necessity of the debate between various actors and potential customers, because it indeed seems, that nanotechnologies are from the bigger part heavily misinterpreted by various claims and fantasies that do not hold true. It is indeed necessary to learn some lessons from the previous debates on e.g. genetically modified food, so the nanotechnologies would not be limited by the excessive scepticism, but on the other hand by the excessive enthusiasm. To sum up – specific visions and product suggestions proposed by experts show that an important part of the citizens´ feedback tends to be useful and can be used for the future development effectively.